The Furphy Water Cart is an iconic piece of Australian manufacturing history. Produced by J. Furphy & Sons from the 1880’s through to the late 1900’s these water carts became famous for their unique and noticeable branding and inscriptions and for their use by the AIF in the lead up to the war in 1915. Troops gathering around the cart to have a drink of water in their camps would often swap stories and embellish them along the way. This lead eventually to the word ‘furphy’ entering the Australian language meaning a rumour or false story. 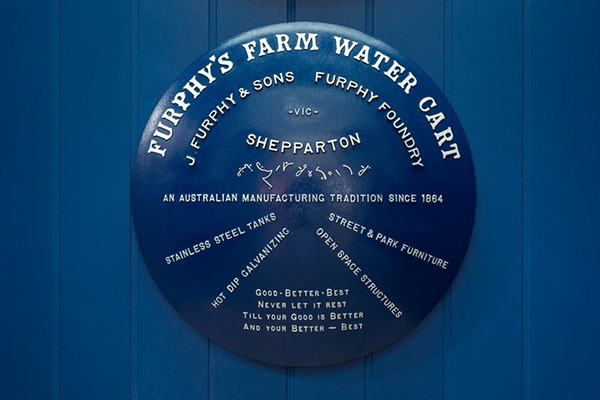 Today J. Furphy & Sons and Furphy Foundry maintain the Furphy manufacturing tradition – owned and operated by 5th generation descendants of the company founder John Furphy. 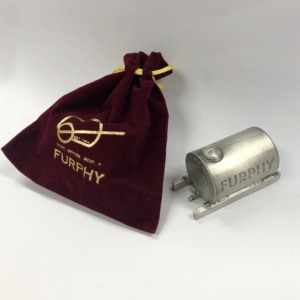 This limited edition series of tank ends will be manufactured by the Furphy Foundry and cast in aluminium with a new design reflecting the current day activities of the companies. They are manufactured using a new pattern that has been produced especially for this new end. Production commenced in late 2018 and we expect to continue manufacturing them into 2019. 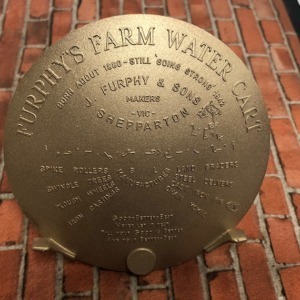 The tanks ends are individually numbered by way of a cast number on the reverse side of the end ensuring authenticity and is accompanied by a certificate of authenticity signed by Sam and Adam Furphy – Managing Directors of J. Furphy & Sons and Furphy Foundry. The ends will be packaged in a sturdy cardboard box for transport and also include a stainless steel mounting bracket and instructions for ease of mounting to a wall.